That used to be Genie’s mantra. Little did she know that the wave would literally take her out of this world. Now, faced with a new life, unbelievable dimensions and unexpected dangers, she’s got to pull off the ride of her life, or wipe out. The prelude to the EdgeWorld series serves as an introduction both to the new world Genie finds and the plight that has found her. An American teenager living in Bolivia with her father and younger brother, Genie was trying her best to take care of her family in the wake of her mother’s death. But that was before she crashed headfirst into the curious stranger and her whole world turned upside down. Now new possibilities, good and bad, await her at every turn, but she cannot allow concerns of the outcome affect how she rides – surf’s up! You've come to the Rims. This is the place of High Adventure! 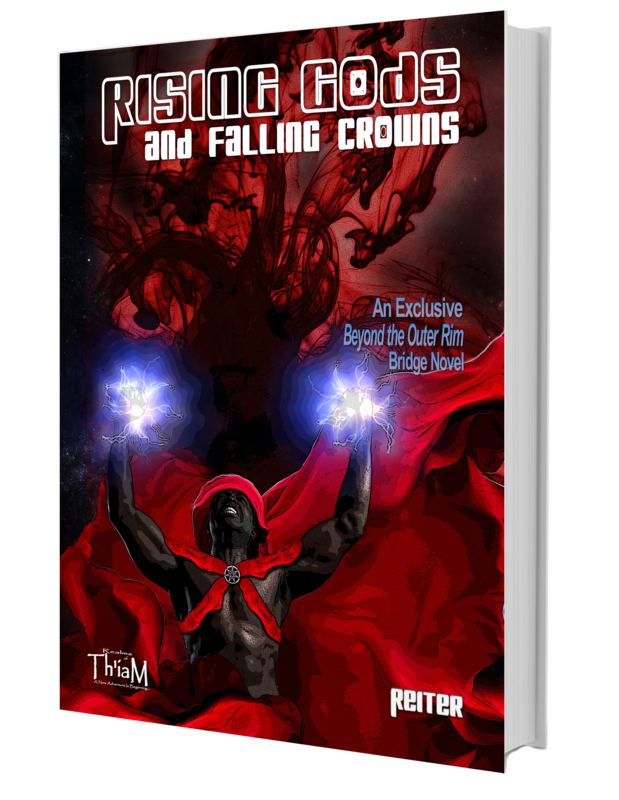 "This story... it's like Stars Wars meets Lord of the Rings..."
Knights of the Inner Rim introduced you to the Rims,... Star Chaser is where the series begins! For a moment, the Rims falls off into the backdrop while we embrace the beginnings of one who is destined to change the Rims forever! It will take a unique and extraordinary individual to fulfill that destiny, and Z'Gunok Tel Dungias is just such an individual, only not in the way one might presume. Born to a race of people that can generate energy at will, Dungias is without this ability, a shay-spawn, as it is often called. He is a mark upon his family and dreaded within his culture. But Dungias does have his mind, and a spirit that will not quit. In the fires of things long forgotten by people who consider themselves stars, Dungias will forge himself anew. He will become a Traveler! In his quest, however, Dungias will discover truths about his people... truths that are meant to remain secret. It is said that he who increases knowledge increases sorrow. If knowledge is a deliverer, where will Dungias find himself when the ultimate truth is embraced? 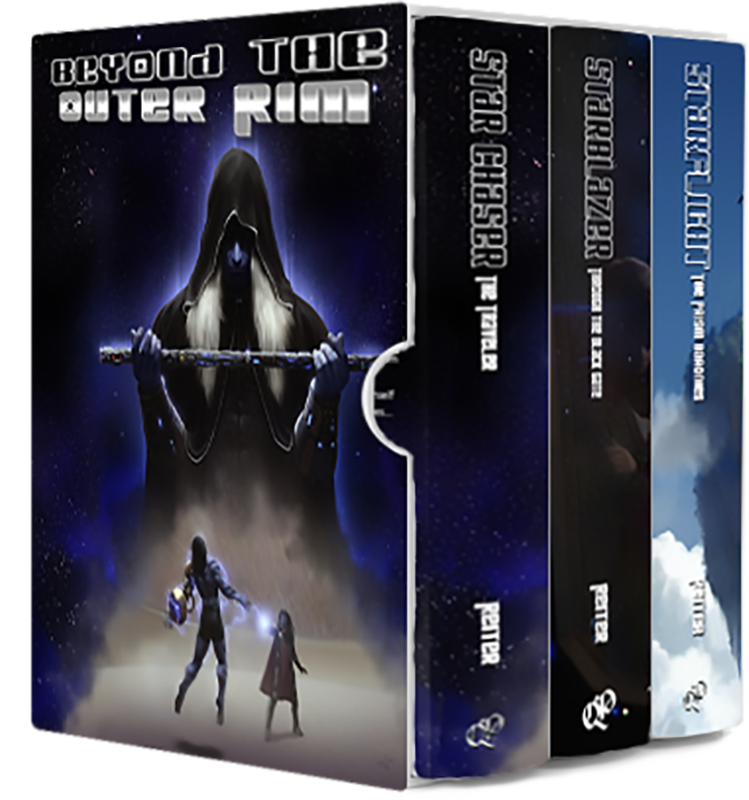 For a limited time, get the Prelude to the Beyond the Outer Rims at a very special price HERE! The First Star has been named and claimed. Answering the call of a quest, the Master Traveler has ventured far from home to a place called the Rims. In many ways it is much like the two systems of his people; the premise of Technology in competition with the Energies is debated on many levels, with neither side able to claim and hold higher ground. Still, it is the matter of the quest that beckons him – the Star Chaser – to engage this place and find not only the source of the rising plight of humanity, but the solution which will deliver the race of the Founders. It has been several years since he came to the Rims, and the time approaches for the Traveler to remove his veil and be seen. It is an awesome task that awaits Dungias. The final picture is not yet in frame, only the pieces that may or may not contribute to the overall scheme. 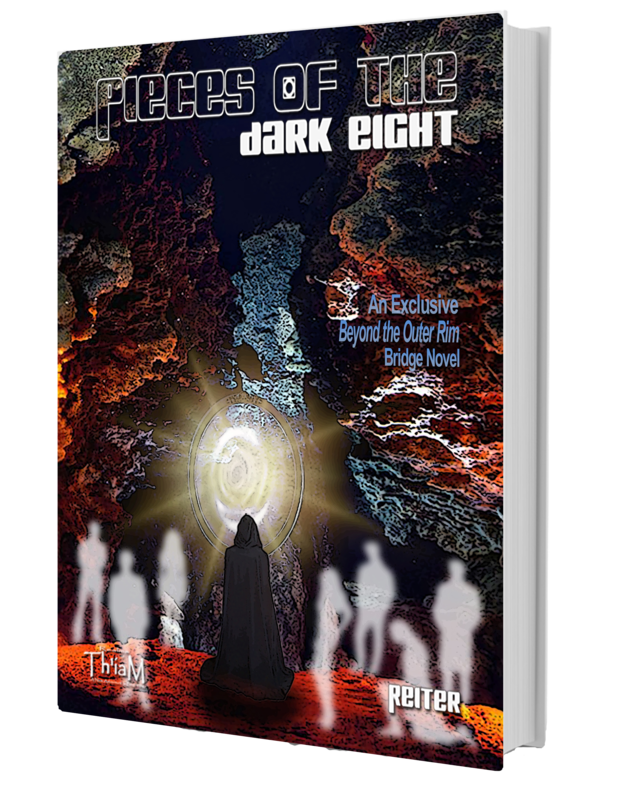 In Pieces of the Dark Eight, factors that are still beyond the comprehension of the Master Traveler are found, forged, and finalized. Though the many eyes of the Rims do not see the Master Traveler, he has indeed introduced himself to this place and the ripples of that event are being felt. What part will they play in the matters to come? Will they even play at all?! Only time will tell. In this exclusive story bonus bridging the Prelude to Book One of the BEYOND THE OUTER RIM Series, these hidden pieces of the game are marked and recorded. In the prelude to the series, we met Dungias as he became the Star Chaser – forever changing his world and receiving a quest to travel to a distant system and save the progeny of the Founders. Venturing to the Rims, Dungias encounters new races, new cultures, and a self-styled adventurer by the name of JoJo Starblazer. A brilliant and daring pilot, this pirate seeks her freedom from the constraints of the Inner Rim Empire, the Middle Rim corporations, and the Outer Rim races of legend. With only her skill, her savvy, and one dedicated First Mate, she seeks to find her niche in the Cosmos... even if she has to cut it out first! Don't miss a minute of the story - Get your copy HERE! The Traveler came to the Rims, continuing a Star Quest to do for humanity what the Founders had done for his people. But there is only so much an outsider can achieve – humans, after all, will only follow another human. So, with the assistance of fate, Dungias came into the service of Jocasta Elise Endigun, called JoJo Starblazer. A highly capable pilot and eager pirate, she began to build her crew around her highly knowledgeable First Mate, Chief Engineer, mentor, and friend. At Black Gate, the doorway into the Territories, Captain Starblazer waged her skills and her crew against those who yearned for her death and the destruction of the Xara-Mansura. In the end she stood victorious against their aims… but at what price?! A vital piece of her machine is missing, and she will go through hell to get it back. But before her journey can begin, the forces controlling – or trying to control – the Rims must make their play. 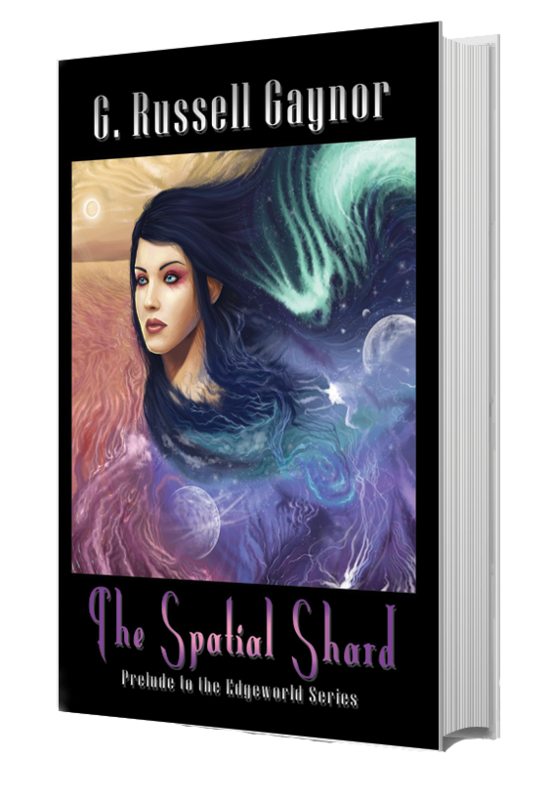 Here, in this prelude to Starflight: The Prism Baronies, Book Two of the BEYOND THE OUTER RIM SERIES, other players begin to make their moves as a stimulus or a response to the presence and actions of the Commander of the Xara-Mansura. There is a darkness moving throughout the Rims, and not even the deities can see it. What happens when the gods are reminded of fear? The second Bridge Novel of the BTOR Series is HERE! In Starblazer: Through the Black Gate (Book One of the Beyond the Outer Rim series), we met JoJo Starblazer – a self-styled pirate and very gifted pilot. Now, in her quest to captain a pirate ship, she decides that she just might need a pirate crew. Even in the Rims beggars can’t be choosers and JoJo, along with her First Mate Dungias, grant freedom to a group of wayward souls imprisoned in a Slaver’s Den. After a few engagements with members of the Inner Rim affluent class, the Xara-Mansura makes port at the infamous Black Gate Station, the portcullis to the Prism Baronies – a pocket dimension where the laws of the Rims are not upheld. Here they have their own system for doing things, and there are new waters for JoJo to navigate. All 800+ pages are yours for the taking! Click HERE! True to her name, JoJo set her eyes on the edge of the world and blazed through the stars. Pulling her allies back from the brink of destruction, and enacting a fair measure of it herself, the woman led her crew into Black Gate and beyond. Vengeance seen to, at least for the moment, she took the plunge into Sky Stone only to find that not all was as it seemed. Soaring her way through new friends and foes, she left all she holds dear in the hands of the one person she trusts… until it’s time for the Captain to rejoin her people and take a stand. The Rims are now ringing with the news of the crew of the Xara-Mansura. For these battle-weary few, it is a time of celebration and loss. Much has happened, and they know even more is on the horizon. How they choose to face it will have repercussions across the system. It is a time of change, and no one – not even the Captain’s indomitable First Mate – can prepare for every contingency. 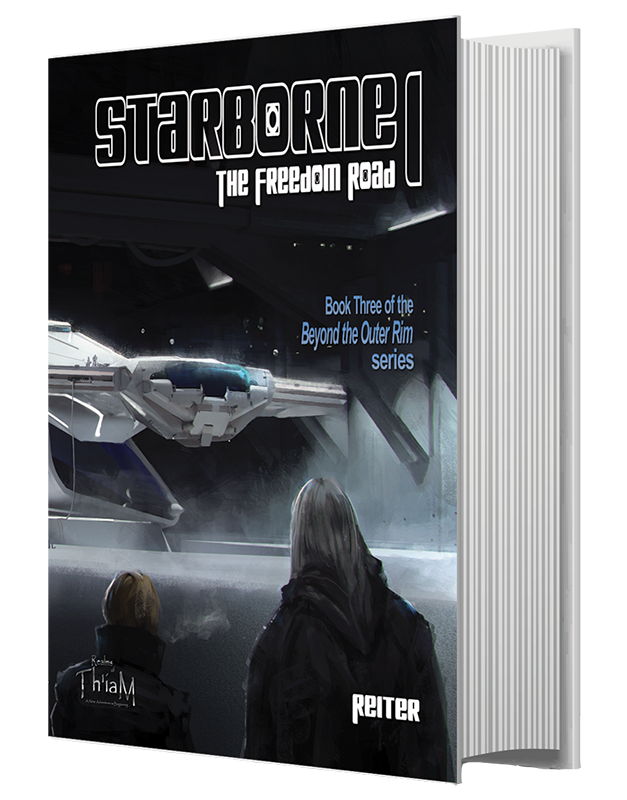 In this prelude to Starborne: The Freedom Road, Book Three of the Beyond the Outer Rim Series, the players across the Rims begin to join together along three very distinct paths. There is a darkness moving throughout the Rims, but there are those who are stepping up to fight it. What can the motivated spirit not accomplish? 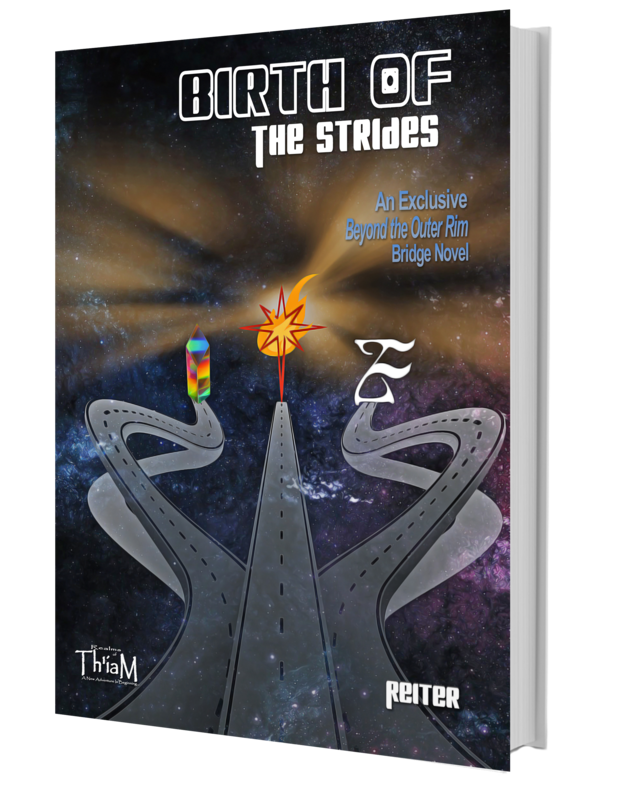 The last of the BTOR Bridge Novels is right HERE! 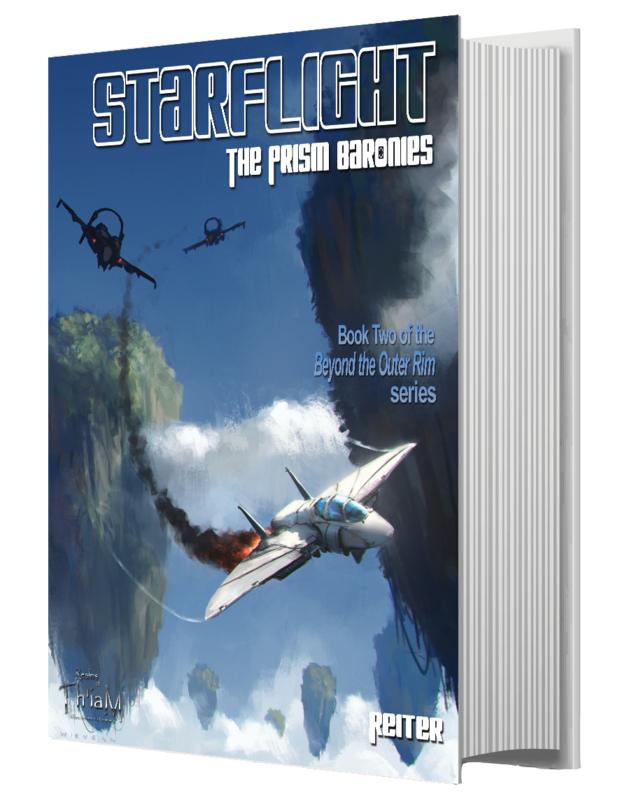 In Starflight: The Prism Baronies (Book Two of the Beyond the Outer Rim series), Captain Starblazer started making a name for herself in The Territories. Drawing the attention of new allies and enemies alike, she and her stalwart First Mate doggedly pushed forward in their goals. Now, dealing with personal loss, a fractured crew, and an untried ship, JoJo must find a way into clear waters. Unbeknownst to the engaging Captain, there are shadowed forces already working toward her destruction – and when some of her own are suddenly put in danger, it’s time to fight back. Waiting and hiding have never been what the Star-Wing pilot is good at, especially when she is without the calming presence of ‘her’ Z. With a need to prove herself and her ship – not to mention protect those she cares about – JoJo will face powerful enemies, old friends, new alliances, and even the very Empire itself, with whatever weapon is handy. One thing is for certain… Life in the Rims will never be the same! Disappear into the next installment of this series HERE! You have just entered a new realm - a new Universe where there are worlds, races, powers, allies and enemies just waiting to be discovered. Your place may be with the wielders of Iro... or perhaps as a Traveler... it could be that your destiny lies on a ship flying through the stars... or straining your skills on a battlefield... maybe you're most suited to hours spent pouring over ancient tomes... or engaged in a game of chess that will shape the cosmos. Visit the Beyond the Outer Rims Website HERE!